Hip-Hop is music and artistic expression built upon the elements of a DJ, the MC, B-Boys, and Graffiti Art. DJ Kool Herc created hip-hop music in 1973, and his presence contributes to the Jamaican-African-American style of the musical toasting of today. DJ Kool Herc's music created a culture that includes a platform for speech. The people listen and respond to hip-hop's messages. Rap is slang for the word talk. It's a rhythmic, poetic, story-telling style of chanting lyrics over bass-laced, drum-heavy beats. Anyone can write a rap, but not everyone who recites a rap is a Master of Ceremonies, and technically, all Masters of Ceremonies aren’t hip-hop MCs. 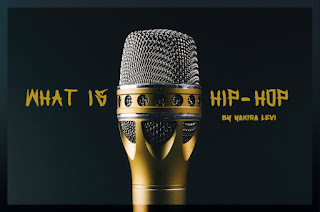 The title, Rapper- was given by music industry professionals, to artists who perform in the style of poetic talk. 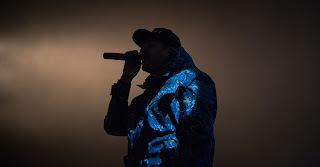 The lyrical content of a rap varies depending on the rapper’s intellect, knowledge of self, or what a record company dictates as marketable material. Record companies invest money on projects as a way to make a profit, not as a gesture of the kindness of their hearts. Rappers usually sign recording contracts. Sometimes they get advance money against future royalties. The rapper becomes successful when a certain level of monetary value is reached from music sales, touring, streaming, downloads, and more. Rap is the style or delivery of a message. We must be mindful of the lyrical content. The rhythm of rap is not harmful; it’s creative and beautiful. The energy in the words of some raps can be brutal and leave emotional scars. We should put more positive messages in our music. Just like politicians, most people have agendas. Some agendas can be good, and some are intentionally designed to be destructive. Once that contract is signed, the rapper has signed up to promote the record company’s agenda; whatever that agenda may be. Personal, political and other agendas can affect lyrical content; and this is where the problem comes in. Money can sway one's opinion on putting out lyrics that can uplift a community, or bring a community down. The problem is not with MCs versus Rappers; it's about the content and messages that we deliver. After music industry capitalists started recklessly marketing rap groups and selling records for profit with an agenda; the art of MCing became skewed. While the MC spoke of his struggles, the environment, his joys, and aspirations - to sell records, the rapper consented to speak the messages of other writers including drugs and murder, hate and the lack of respect for women and men in their communities. Some rappers wrote good lyrics with great messages, but if a record company didn't want to promote a song, it would never be released. So the commercial rapper went mainstream, and most of the real MCs stayed underground. Rappers are the face of a brand, and some don’t care what agenda they portray, or who writes the lyrics, as long as they get paid to perform. MCs on the other hand, view it as a dishonor to perform lyrics that someone else wrote. That defeats the whole purpose of being an MC. If we allow people to taint our culture with their words and negative agendas, we all lose. We must hold ourselves and each other accountable for our speech, our rap, our talk - because our words influence others. Life as we know it was first spoken into existence. Think about it, Mc's are magicians, and the mic is our wand. The words we speak are spells that uplift or bring harm. In closing, the difference between an MC and a Rapper is spirit and intent! Most MCs expect respect, and Rappers expect a check! Which one are you?